Feeding the rumour mill with a tasty brew? Photo courtesy mazoren on Flickr. Ottawa may just have a new brew pub opening, and hopefully in time for patio season. Don’t worry – it’s not going in the Market or near our already-beloved Clocktower in the Glebe. 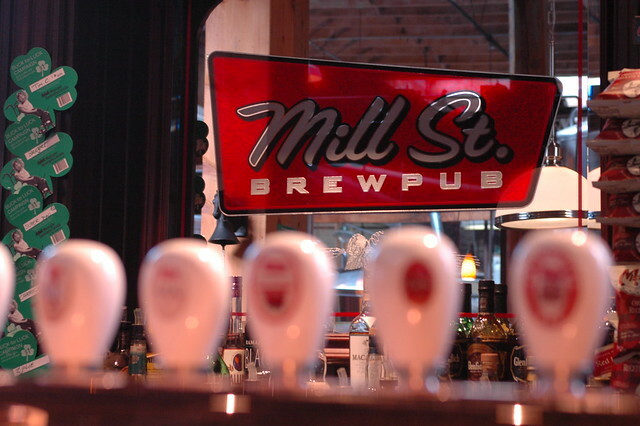 According to CBC News, the Toronto-based Mill St. Brewery put in an application to move into the Thompson-Perkins Mill near the Portage Bridge. According to the paperwork submitted to the City by Chorny Associates Architects Inc., a micro-brewery would be installed at the Mill, churning out 40 kegs per week. 20 of these would be served at other local Ottawa watering holes, with the rest staying to satisfy the 390 patrons that could fill the restaurant. The Thompson-Rivers Mill used to be home to the Mill Restaurant, but since the restaurant closed a few years back, the location has been sitting empty. The old stone mill, built back in 1847 would be a perfect place to grab a pint – and would spice up the LeBreton Flats area. At this point, Mill St. Brewery could not be reached for comment. Stay tuned for more info on this Apt613 investigative report!